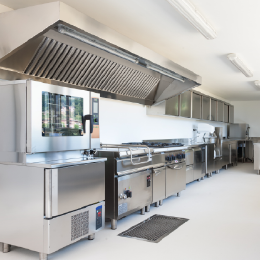 Untreated oil and grease discharge into the environment is frowned upon by environmentalists and environmental agencies worldwide. Untreated discharge not only impacts public environmental health, but also causes public nuisances due to the associated odor. The World Health Organization warns that air pollution can cause major illnesses and ultimately lead to premature deaths. 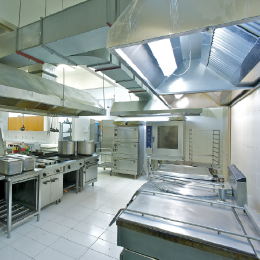 As a result, infringements of Environmental Health laws and guidelines can lead to harsh fines and even business suspension. A cleaner and greener environment will benefit all members of the community. 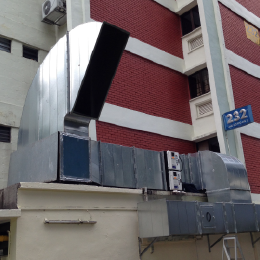 Air & Odor Management’s (AOM) position as the leader in air filtration and treatment allows us to provide turnkey solutions for Kitchen Exhaust System in accordance with the strict standards set forth by Singapore’s National Environment Agency (NEA). Our relentless commitment to innovation allows us to deliver cost-effective products and solutions to the benefit of our clients.